In this blog, we have given small description about dedication and contribution of some of the famous personalities belong to United Kingdom. 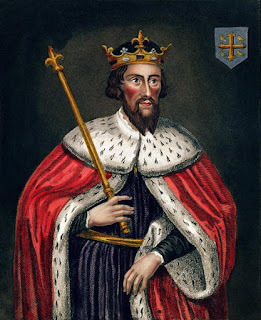 Alfred the Great is the king of Wessex or the first king of England. Since the rule of Alfred in Wessex, people remember him for two main things. Firstly, people remembered him for saving his motherland from suffering some big destruction because of invasion of Danes. Secondly, people recognize Alfred as the man having huge dedication towards education. Alfred has given his major contribution in bringing peace in his country and restoring some famous learning centers. Judith, the stepmother of Alfred and his teacher had encouraged Alfred in having his huge interest in the sector of education. Later on, his biographer named Asser has often encouraged him to develop his interests in education. Alfred possesses the capabilities for reading and writing both English and Latin language. He mostly prefers to study passages from Bible and translate such passages into English. However, Alfred’s duties and responsibilities as a king had consistently interrupted his education. In fact, he has spent his entire reign in wars with Danes. In the year 871, Alfred has become the king of Wessex. At that time, Danes had remained present in the Isles of Britain for about hundred years; while lands belong to the East of Britain has remained under its control. Danes consistently raid in different areas of Wessex, while people belong to different parts of Wessex have to pay tribute or honor to them. Until the year 875, Alfred has paid tribute to Danes and taken almost every step for bringing peace in Wessex. However, in 875, Alfred has gathered his strong army, with the help of which he defeated the invaders and forced Danes for leaving Wessex. Bebo Kobo - A knowledge source about Far East market !